It's no secret that I've always been a shoe hoarder. Everyone knows that. It started from when I was a little child, my parents even had to distract me if we passed by a store that sold shoes! Also at the tender age of 2, I relied on my parents to buy me shoes (which they did, after a lot of crying), but now, I can get them myself, so it really never stops. 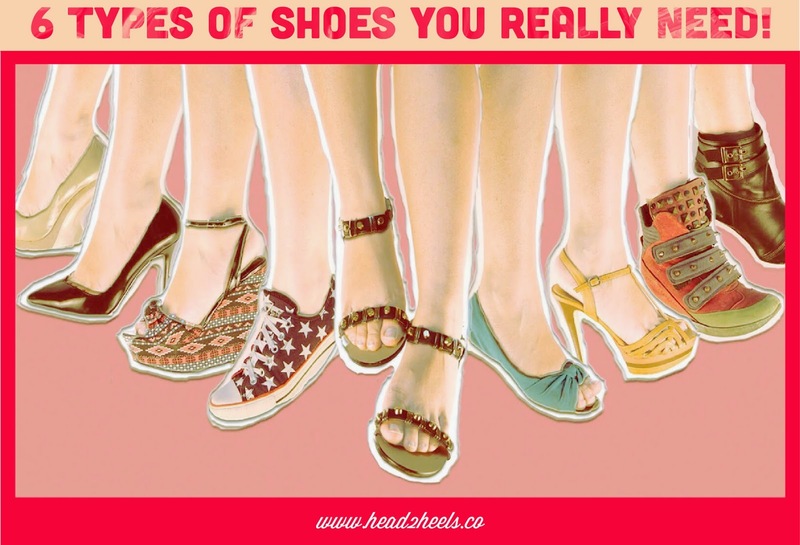 And then of course there are soooo many different styles and types of shoes, that it can get really confusing.. Like from pumps to peep-toes to sandals and wedges to platform and then the flats and the what-nots.. But to make it easier, I came with the 6 types of shoes you will really need, and of course keeping in mind, these are just the basics! 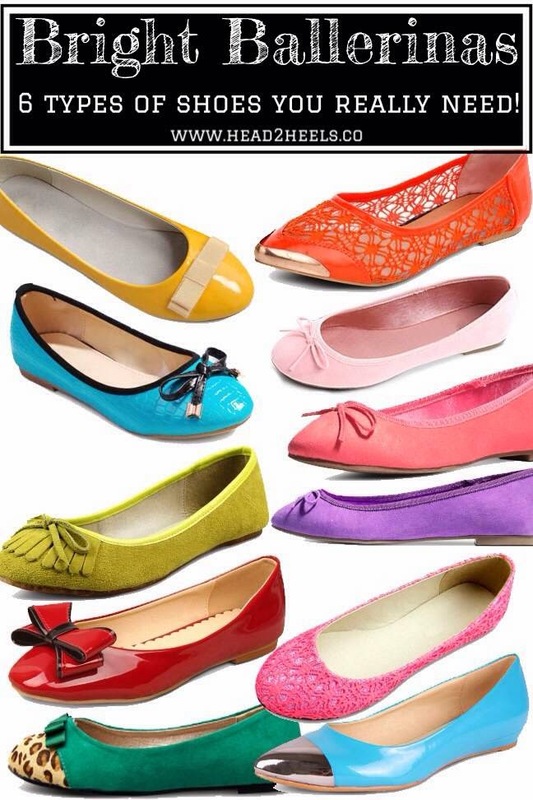 The best way to spruce up any casual outfit is with a pair of bright ballet flats. I own about more than 15 pairs in various colours and I wear them on a daily basis. So daily that most of them have visited the cobbler several times! 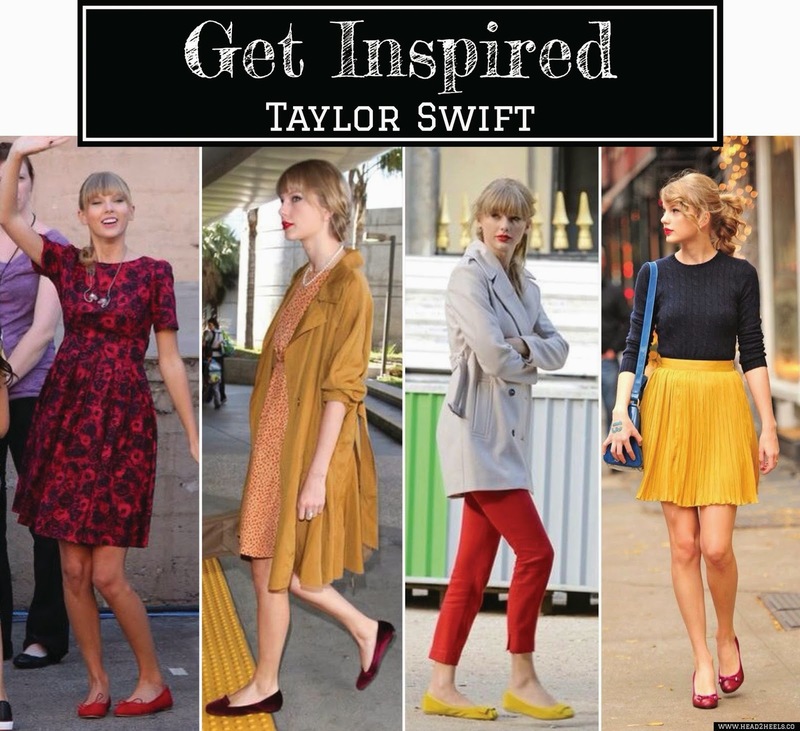 Taylor Swift loves her bright ballerinas and uses hers to add a pop of colour to an already bright outfit or goes completely monotone with colours. Lately, pumps have become some what of an obsession (to me). 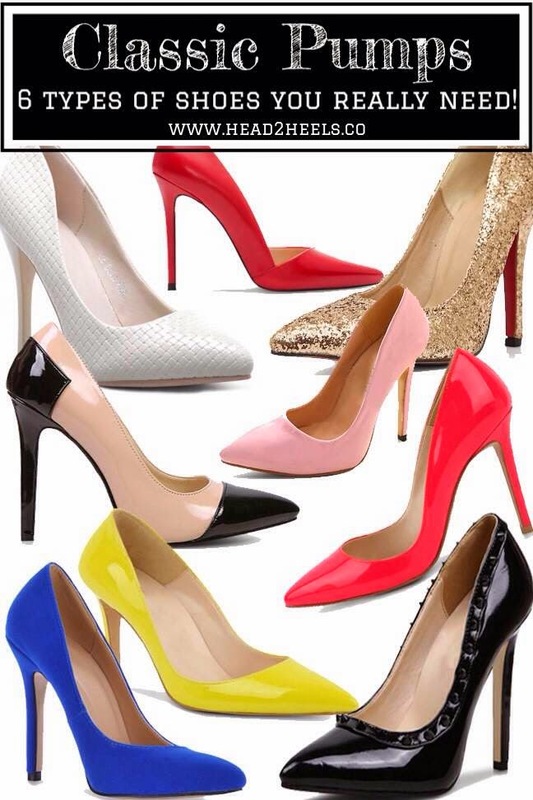 Now the reason I call them classic pumps is because, pumps are meant to be without platforms. That way they look much classier and elegant. 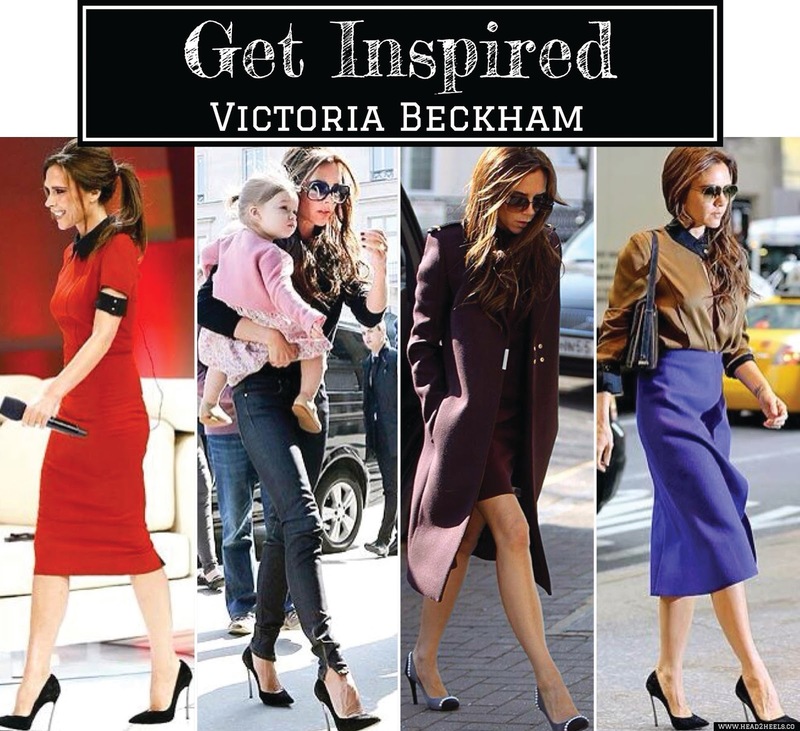 No one does classic pumps like Victoria Beckham. This woman balances it all so perfectly with her trousers or her form fitted dresses or even those pretty elegant skirts. Adore her style completely! Those of you who zoned out when I said no platforms, well this one is for you. I used reject such lovely shoes only because I didn't find the platform high enough. I've always been way too partial to platform heels. The reason I suggest wedges is because unlike platform heels and stilettos, manoeuvring yourself in wedges, especially on Indian roads is a lot more easier. I've seen a ton of girls wearing the prettiest and the highest platforms stilettoes, and these girls cannot even walk without their legs wobbling about. Do yourself a favour and invest in wedges! 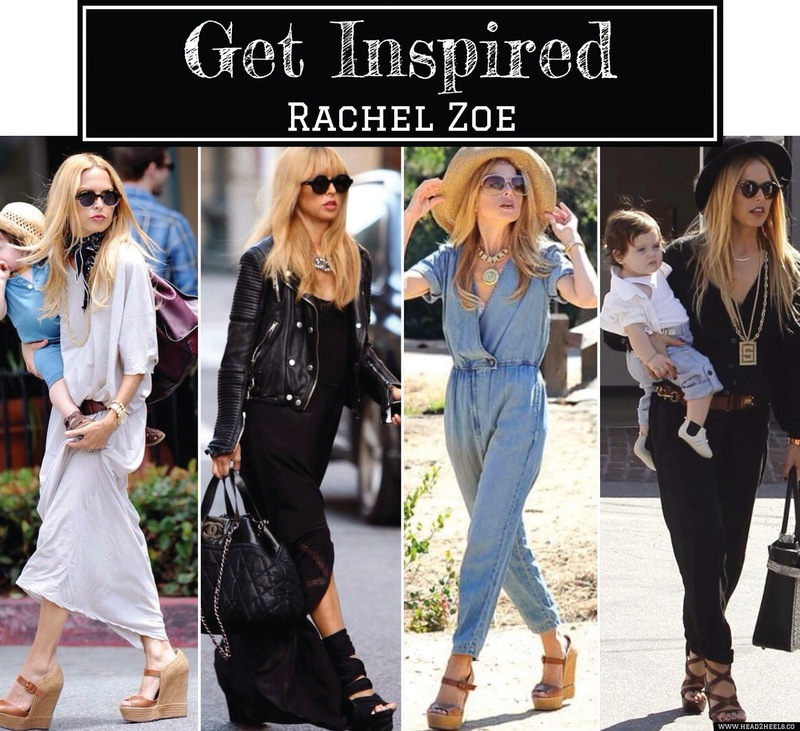 A-list stylist and designer Rachel Zoe probably lives her life in wedges. Always spotted with baby Skyler, she dons on her wedges, which are comfortable as well as super chic. 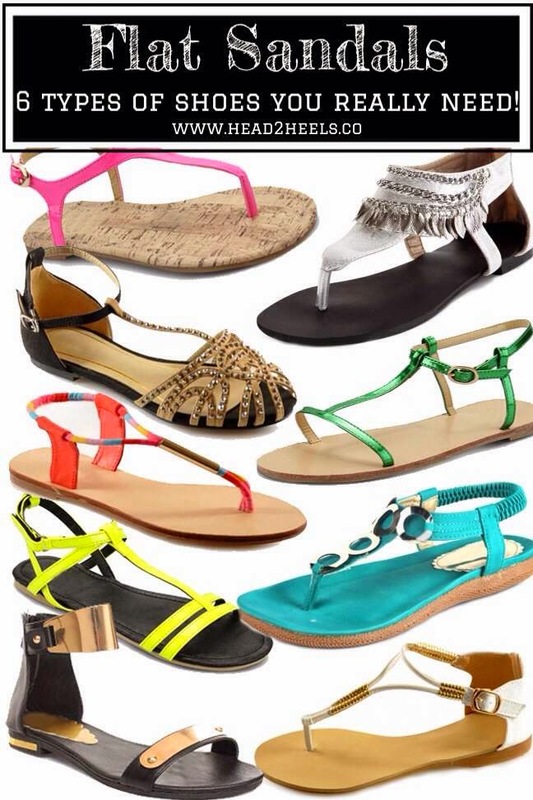 While your ballet flats can be very versatile, no shoe wardrobe is complete without a pair of cute strappy flats. Best thing is that these are so comfortable to walk in and can show off that cute little pedicure as well and can add that sweet bohemian touch to your outfit as well. Perfect with maxi dresses and skirts. 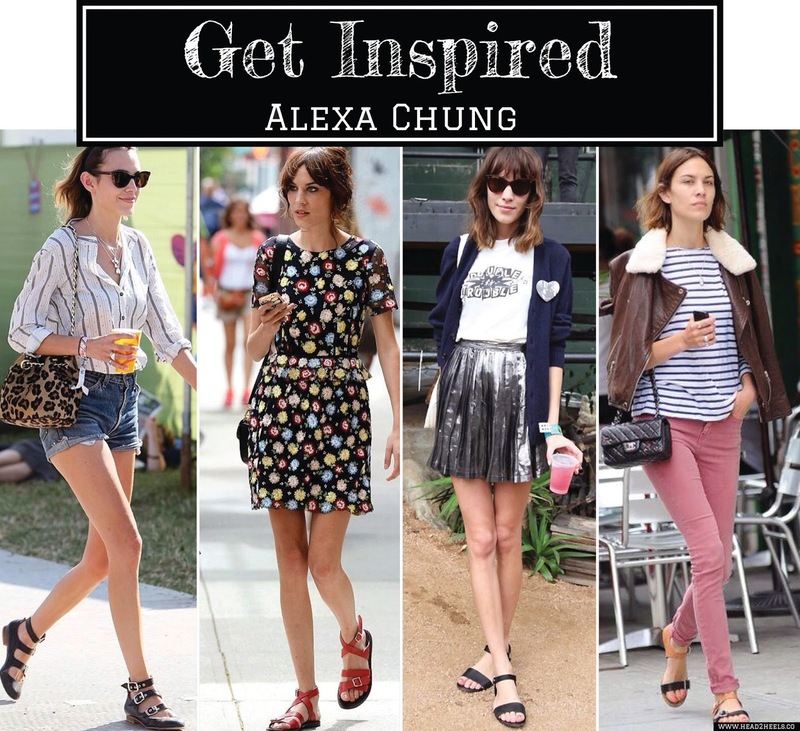 Alexa Chung rocks her day wear with pretty strappy sandals. But then again, with that height, who wouldn't? Ahh the sneakers. I love them! There was a time I used to collect Converse All Stars. We had over 17-18 pairs in different colours and prints! Perfect for your workouts, or fantastic to add a sporty look to your outfit. 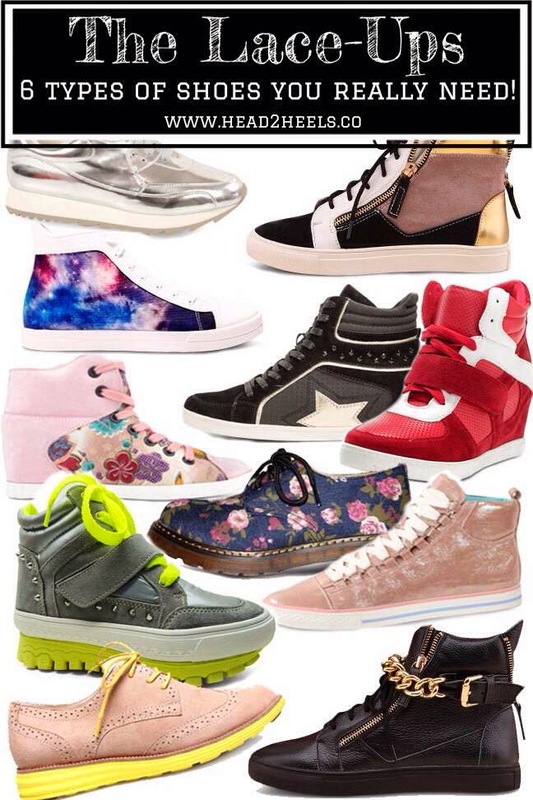 And of course sneaker wedges have been a rage for a while now as well. This is exactly what they call 'off duty' model style. Cara takes sporty luxe to a completely different level! 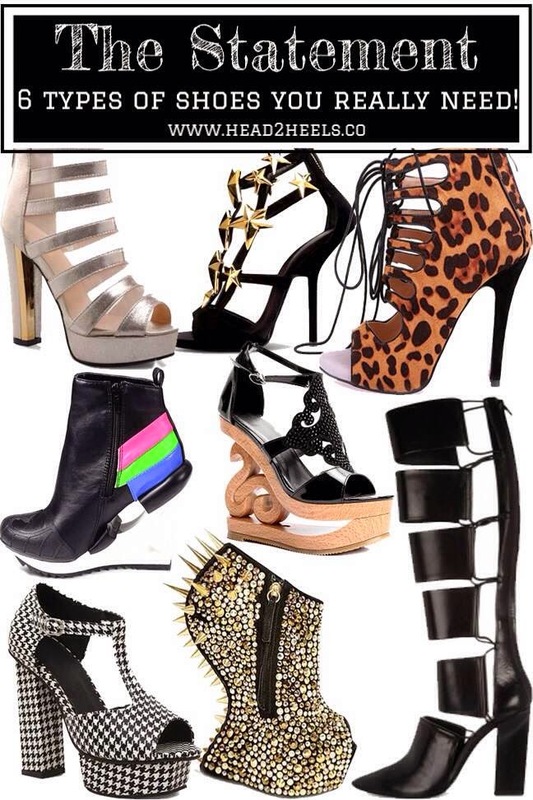 So you probably saw statement shoe and thought Gaga? Well my inspiration will always be Anna Dello Russo for her amazingly crazy shoes that always scream 'STATEMENT'! 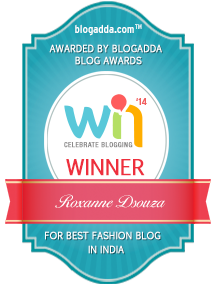 This post is brought to you by My Smart Price Fashion which is a new age social discovery platform that helps it's readers find and discover fashion and lifestyle products with the help of a small few keywords. Shoes from DressSale and street style images via Pinterest. These shoes and wedges look sooo good. I really loved the yellow ones.